If you have caught my latest live-streams on social media you will have heard me sharing how excited I’m about alpaca fleece. In today’s post I share the interview with Eleni Roberts | Sustainable Alpaca Business Owner Tells Her Story. Below you will find podcast, video interview on YouTube and images from the ranch. what an honor to connect with Eleni about her business and Fashion. This video found on YouTube at : Meet Eleni Roberts | Sustainable Alpaca Business Owner Tells Her Story. The design I’m sporting was picked out by Eleni herself and it is titled The Hero. Eleni Roberts is excited to share with you more about her product and ranch so be sure to connect with her on her website and on social media where she shares more. 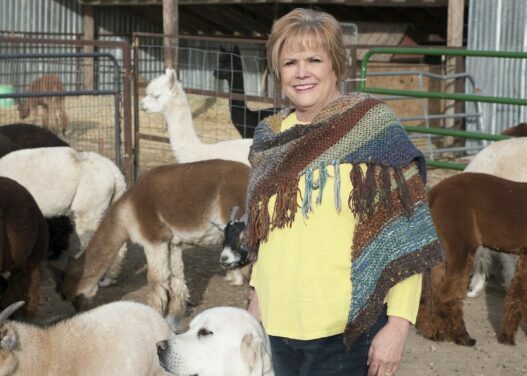 Eleni Roberts surrounded by her Alpacas. I’d love to hear from you so please submit questions and comment below on this blog post. Don’t be shy and tweet me by clicking the Twitter button below! 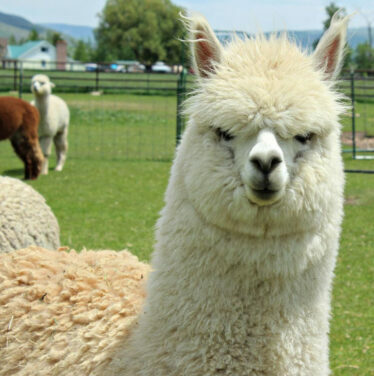 Happy Days Begin with Alpacas! Love all my kids! 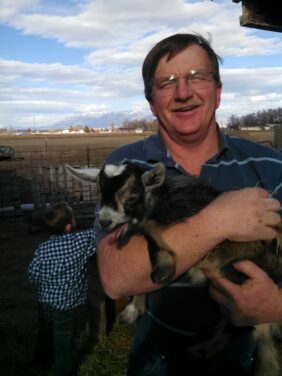 Mr. Roberts, Jeff, he’s the work horse behind the scene doing what I claim to be easy! Thank you so much for sharing your story with me Eleni – can’t wait to follow your future adventures. You are living the dream!